Sometimes it takes a native son to know what Bostonians want from their city. 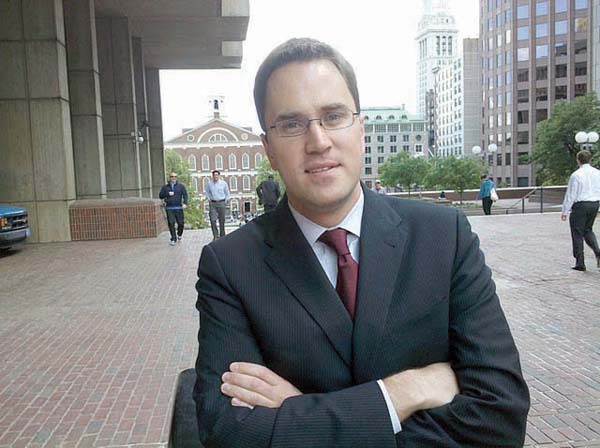 Mayor Thomas Menino might have found just such a local in Dorchester native Justin Holmes, who is the city’s director of constituent engagement. Holmes began the newly-created position as the city’s top constituent official in March of this year. As director of constituent engagement, Holmes is in charge of how the city reaches out and responds to citizens’ needs. “The mayor asked me to come on board shortly after his inaugural speech where he talked a bit about how we’re all urban mechanics now,” Holmes said. He added that his role is a part of Menino’s “urban mechanics agenda,” which, according to Holmes, seeks to utilize policy and communications methods to better serve the people of Boston. Holmes grew up in the house his parents still live in, in Adams Village. A graduate of St. Brendan’s School, Boston College High School and the College of Holy Cross, where he studied political science, Holmes describes himself as born and raised in Dorchester. He’s served as an executive board member of the Cedar Grove Civic Association, a director for the Dorchester Board of Trade, and a board member of DotOut, a civic group representing the local gay, lesbian, bisexual and transgender community. “Over the last few years there have been some interesting institutional challenges in Dorchester,” Holmes said, citing the shifts in ethnic demographics, church closings and parochial school consolidations. Holmes said that the goal of his new position is to “look for ways to more proactively reach out to constituents and engage them in the work of government,” by thinking about and breaking down the barriers that stand between residents and civic engagement. Holmes’ new position on Menino’s staff is not his first tour of duty in City Hall. He held the position of chief of policy and communications in City Councillor Maureen Feeney’s office when she served as City Council president. He was also a campaign manager for Feeney and state Rep. Linda Dorcena Forry, a Lower Mills Democrat. He also had a brief stint as the director of government relations for the Massachusetts Convention Center Authority before landing back at City Hall. “I stole him from Maureen Feeney,” Menino said with a laugh during an interview, adding that it was Holmes’s knowledge of retail politics, technology and service response that most impressed him. “He’s helped us make our constituent services more responsive... which I think is what government is all about,” Menino said. On Holmes’ plate at City Hall is constituent communications, how the city directly reaches out to its residents. Recently, Boston has begun using new notification systems, like Twitter and the city’s own iPhone application, to alert citizens of possible hazards. He’s been tasked with building on the successes of these programs. A new Twitter feed from the city, @NotifyBoston (www.twitter.com/notifyboston), is a one-stop source for information the City wants residents to know. Other feeds, such as @AlertBoston and @StormBoston, give only the most important warnings and alerts, leaving the typical chatter of Twitter, a social networking site, to other feeds. The mayor’s 24-hour constituent service hotline, which has become a sort of central hub for feedback and services, remains a major tool in the Menino administration’s services repertoire. Both the alert system and 24-hour hotline were put into overdrive during the water emergency earlier this spring.